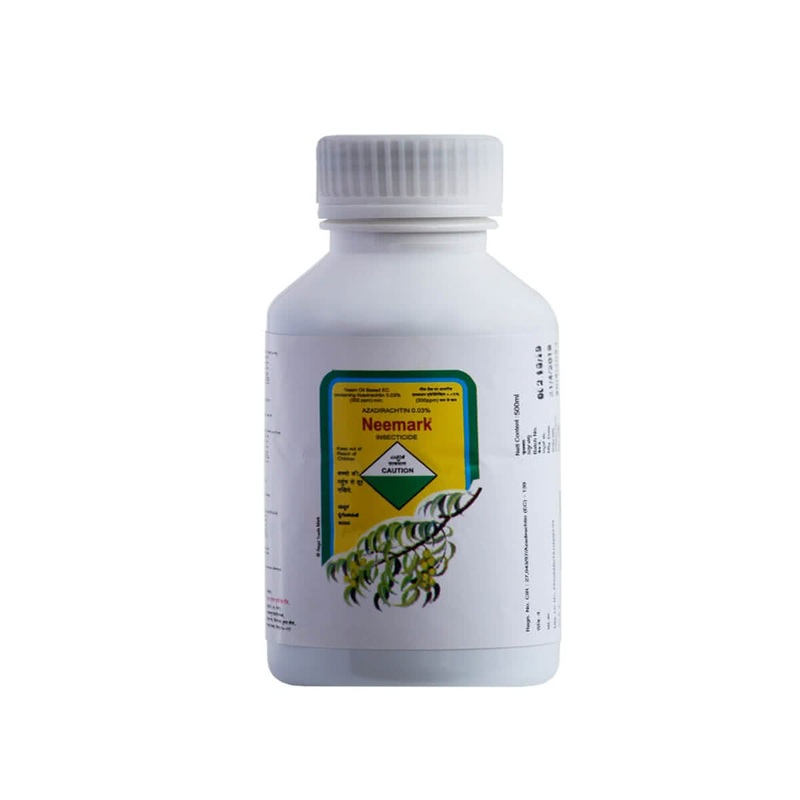 Neemark is the extract of natural neem and contains Epichlorohydrin & azadirachtin which are very effective against insects (Aphids & Ballworms) & yet are safe to human beings and animals. 2 ml in 1 ltr. Water.